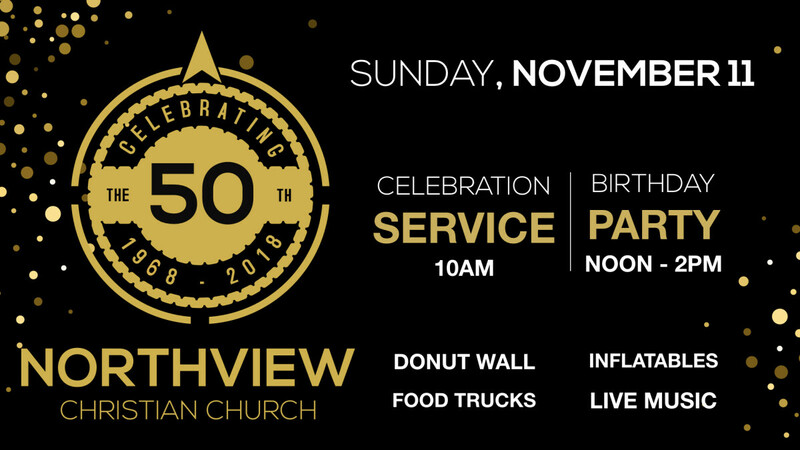 Northview is turning 50 and we are going to CELEBRATE on Sunday, November 11. We will have one Celebration Service at 10 am and a Party to follow from 11:30am-2pm. There will be food trucks, inflatables, a doughnut wall, and live music! Invite a friend and join us as we look back on the ministry of Northview over the last 50 years and build excitement for what God will do in the future!